This article was originally posted on Level Up Translation's blog on August 19th 2016. Gaming is one of the few truly global industries, filled with passionate fans (like us) who really care about their favorite titles. Which means simply doing localization isn't enough. You have to nail it. It can be tempting for developers to embed this text directly into the game's code - especially if you're launching in one language first. This is a bad idea, though - even if you don't have any plans to expand into other languages at this stage. Instead, you'll want to store all text as variables in a separate resource file. This way nobody needs to plough through source code to add translated text into the game. You can simply add the new variable and place the translation inside its own dedicated file. This not only makes future localizations easier for your team but also for the translators you call in. 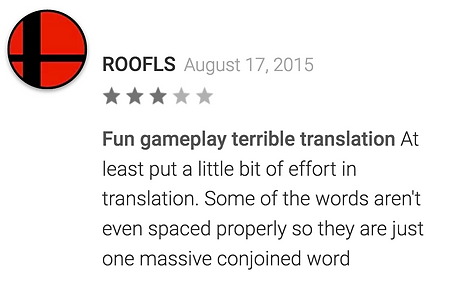 This isn't only a problem for game localization but any project that needs accurate translation. The fact is, cutting corners on translation only creates more work further down the line - and that means spending more money, too. Forget machine translation and don't even think about free tools like Google Translate. Not only are they world away from producing the accuracy you need, they're a security threat for any sensitive content. Such translation tools are vulnerable to hackers via your Internet connection - especially via WiFi. These risks are widely publicized but they may not be something you associate with online translation. More worryingly, anything you type in is handed over to the translation provider (eg: Google). It becomes their data and they can do anything they want with it. Speak to your translation agency about non-disclosure agreements (NDAs). These contracts make sure everything in your game stays completely confidential - so you can relax while translators are working on the localization of your game. Money-wise, the reality is, if you cut corners on translation, you'll only end up paying more for it later. We get far too many partners who need to start all over again because they tried to take the faster/cheaper option on translation. Take shortcuts and you'll end up with the kind of mistakes we still mock the arcade classics for - or worse. We still see too many publishers handing over spreadsheets full of text to translators who basically know nothing about the game they're working on, or worse, nothing about gaming at all. Instead, you should seek out experienced video game translators and give them the chance to play your title whenever this is possible. The more they know about the gaming experience you're trying to build, the better equipped they'll be to recreate that in another language. If you can't give translators access to play your game, then at least get someone in with a track record of translating games in your genre. Be sure to hand over as much information about your title as possible: glossaries, visuals, style guides and any translations you may have from previous releases. Accurate translation isn't the only goal of localization. You also need to be sure your titles are culturally sensitive to each market - or risk alienating one of your target audiences. Much of this comes down to the actual content of your game: the story, characters and events that take place. 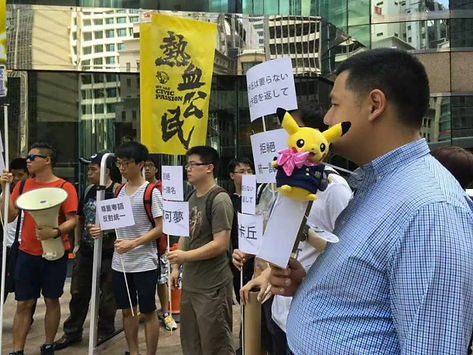 Shortly after, there were protests in Hong Kong after the firm decided to alter the name of beloved Pok?mon Pikachu. 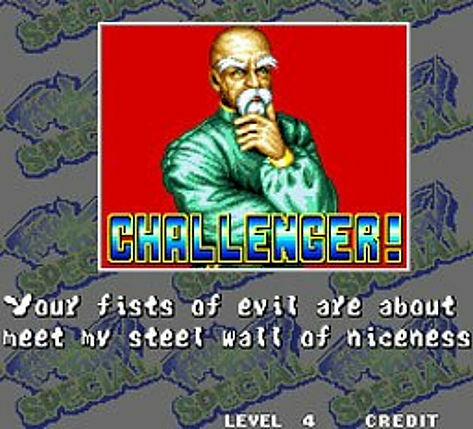 It sparked a centuries-old sentiment of China encroaching on Hong Kong culture - all of which was reignited by the slight change of a name to one character. Perhaps the most expensive mistake you can make with game localization is letting it sit at the bottom of your to-do list. It's easy to think of this as the last stage of production - but that's a costly assumption. A lot of words in there but not much that makes any sense. 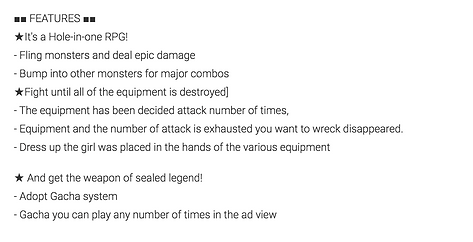 Just go back to our first point about hard-coding text into a game and you can see how poor localization planning makes production costs skyrocket. Or think how many problems Nintendo could have avoided this year by localizing its content during the writing process, rather than leaving it until post-production. The fact is localization should be included at the very beginning of game development - and you need to allocate enough time and budget for the entire process. This way you can avoid extra workload and costly mistakes further down the line. 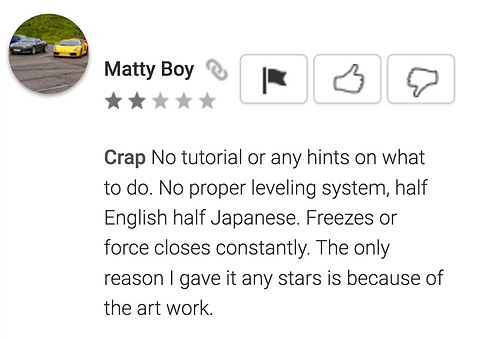 So there you have it - the five most expensive game localization mistakes. They're all completely avoidable with the right planning in place from day one and the game localization company with the right experience and methodology. Great article we are about to localize our first game and this article gave us great advices! Glad you liked our post! Ressource files are okay for images, audio and long text, but not for short names. I want the same names to appear in my code and on screen (english version). Then for localization (eg. into my native language) these words are translated by the ressource file. Therefore I like languages like SQL, which allow for spaces in identifiers. And I hate URLs. Don't use puns in your game design that only work in English. Well, you can translate such pun into pun that works only in language you are translating in. Kleiner: This suit still fits you like gloves! Well,atleast gloves do! Kleiner: ?????? ????? ?? ???? ??? ????? ?? ?? ???? ????! ?, ?? ?? ????????????? ?? ???? ????! @tyhender: I meant, do not use puns in puzzles. For example, in P.T. there is a picture with the text "Gouge it out" on it. You have to know that in English you can gouge someones eyes out to solve the puzzle. You can't translate that because that figure of speech only exists in English. Been there, done that - it is a very bad idea to give only a spreadsheet to translators, outcomes could be very different from your expectations. But sometimes giving a build to translator isn't an option (i. e. performance is still very bad) - than you can make a short gameplay movie showing the most important parts for understanding a context. This post was updated earlier this month. A great documentary about The Witcher III's localization that recently came out is now featured in it. The part were CD Projekt explain how they adapted their game for their Arabic audience is totally fitting #4: Ignoring cultural factors. I highly recommend watching this. Very, very insightful interviews for devs and game translators alike. Hope you enjoy it!